Dealing with cracks and defects in your domestic drainage system can be a challenging prospect. Failure to tackle the problem promptly can result in leaks, flooding, foul odours, structural damage and water egress that can contribute to subsidence – but the process of actually getting it repaired can feel equally daunting, especially when it potentially involves digging up large sections of piping, resulting in significant costs and inconvenience. At Lanes, we recognise this, which is why we utilise advanced ‘no-dig’ drain relining technology to repair damaged drains and pipes without even having to break ground. It’s by far the most cost-effective and convenient method available for the repair and renovation of drains, and it’s just as useful for fixing existing problems as it is for carrying out pre-emptive maintenance that can prevent damage before it becomes an issue. As one of the UK’s most experienced providers of drain relining services, we are known for delivering high-quality results at competitive prices, meaning you can count on us to provide the best possible service with a minimum of fuss. What is pipe relining and how does it work? The relining process involves the installation of a drain lining that bonds to the inside of the pipe, essentially creating a pipe within a pipe. This can be applied to drains with diameters as small as 100mm, all the way up to 1,500mm diameter culverts. Should I replace or reline my drains? 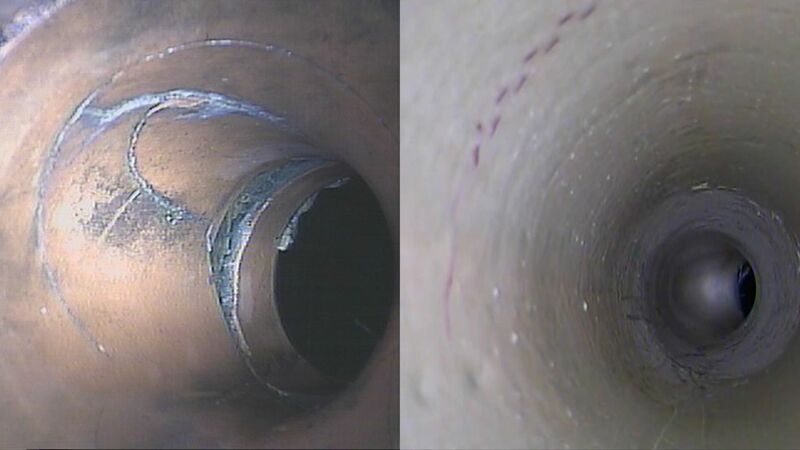 Replacing a broken drain can be a hugely expensive and time-consuming process that can lead to long-term disruption, due to the need to dig up and refit lengthy sections of pipe that may be situated in hard-to-reach locations. Choosing relining instead can eliminate most of this inconvenience and get your pipes back in working order as promptly as possible. How much does drain relining cost? The costs associated with our drain pipe lining technology are competitive across the board. Because the scope of each job depends on factors such as the condition and type of pipe in question, we can make sure that the final total is cost-effective and reflective of your actual needs. How long will the replacement last? We test our lining materials for a minimum of 1,000 hours to ensure that they meet the highest standards set out by industry regulators. Our relining work offers a 50-year design life, but thanks to our outstanding safety standards, this often equates to a life expectancy of nearly 100 years. As one of the earliest adopters of ‘no-dig’ technology, we are now known as one of the UK’s leading drain relining solutions providers. We work closely with international manufacturers and industry bodies to roll out innovative new materials and techniques wherever we can, so you’ll always receive a service that’s right at the cutting edge. For a free quotation, call us on 0800 526 488 or use our online enquiry form. If you’d rather speak to someone right away, call our 24/7 team on 0800 526 488. Need help? Fill out a few details to give us a better idea of your problem, and we’ll call you back as soon as we can. With a nationwide network of depots, we are never far away when you need us the most. No location is too isolated, and each team at every depot is as experienced and knowledgeable as any other Lanes team.